Join the Triangle UXPA on Thursday, September 18th for a talk by Cindy McCracken at TEKSystems in Raleigh. Registration is free for this event. Pizza and drinks will be provided. Qualitative usability testing directly on an iPhone or iPad with live recordings of the sessions, including users' faces and voices. Do this yourself, or have a service do it. Quantitative testing of users on any mobile devices, using an online survey tool. Cindy McCracken has been a senior user experience researcher at Fidelity Investments since September 2012. Before that she conducted qualitative and quantitative UX research at BB&T and iContact. 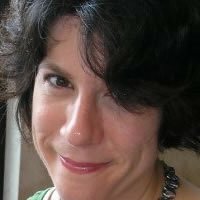 She collaborated on the "Mobile Usability Testing: No More Excuses" presentation at UXPA Boston in 2013, and co-presented “Making Usability Testing Agile” at the Agile 2010 conference.